These opportunities for expression might increase public interest in (and engagement with) democratic decision making, encouraging more thoughtful candidate debates, more substantive election campaigns and advertisements, and richer use of opinion polling to help candidates shape their position statements (once they are aware that the public’s selection process has changed). One could even envision that the basis for funding election campaigns might evolve if funders focused on policy ideas rather than political allegiances and specific candidates. Changes such as these would ideally put the power back in the hands of the people, where it actually belongs in a democracy. These conjectures need to be tested and retested across contexts, ideally through field experiments that leverage research and expertise in engineering, social choice, and political and behavioral sciences. Standard left-to-right political scales and the way we currently vote do not capture the true complexity of our evolving political identities and preferences. If voting is indeed the true instrument of democracy and much more than a repeated political ritual, it must allow for richer expression. Current methods seem to discourage public participation, the very nucleus of civic life. The essence of civility and democracy is not merely about providing issues and options to vote on but in enabling people to fully express their preferences. For a country founded on choice as its tenet, is it too much to ask for a little bit more choice in how we select our leaders? …(More)”. A process of making datasets raw in three steps: reformatting, cleaning, and ungrounding (Denis and Goeta). Hundreds of thousands of datasets are now made available via numerous channels from both public and private domains. Based on the stage of processing, these datasets can be categorized as either raw data or processed data. According to an Open Government Data principle, raw data (or primary data) “are published as collected at the source, with the finest possible level of granularity, not in aggregate or modified forms.” While processed data is data that has been through some sort of adulteration, categorization, codification, aggregation, and other similar processes. A large amount of data that is made publicly available come in processed form. For example, population, trade, and budget data are often presented in aggregated forms, preventing researchers from understanding the underlying stories behind these data, such as the differences in patterns or trends when gender, location, or other variables come into factor. Therefore, a rawification process is oftentimes needed in order for a dataset to be useful for a more detailed, secondary and valuable analysis. Jérôme Denis and Samuel Goëta define ‘rawification’ as a process of reformatting, cleaning, and ungrounding data in order to obtain a truly ‘raw’ datasets. According to Denis and Goëta, reformatting data means making sure that data that has been opened can also be easily readable by the users. This is usually achieved by reformatting the data so that it can be read and manipulated by most processing programs. One of the most commonly used formats is CSV (Comma Separated Values). The next step in a rawification process is cleaning. In this stage, cleaning means correcting mistakes within the datasets, which include but not limited to, redundancies and incoherence. In many cases, datasets can have multiple entries for the same item, for example ‘New York University’ and ‘NYU’ might be interpreted as two different entities or ‘the GovLab’ and ‘the Governance Lab’ might experience a similar issue. Cleaning helps address issues like this. The final step in a rawification process is ungrounding, which means taking out any ties or links from previous data use. Such ties include color coding, comments, and subcategories. This way the datasets can be purely raw and free of all associations and bias. Opening up data is a clear step for increasing public access to information held within institutions. However, in order to ensure the utility of that data for those accessing it, a rawification process will likely be necessary. A person or a business that manages individual data in a trustworthy manner. Also ‘information fiduciary’, ‘data trust’, or ‘data steward’. ‘Fiduciary’ is an old concept in the legal world. Its latin origin is fidere, which means to trust. In the legal context, a fiduciary is usually a person that is trusted to make a decision on how to manage an asset or information, within constraints given by another person who owns such asset or information. Examples of a fiduciary relationship include homeowner and property manager, patient and doctor, or client and attorney. The latter having the ability to make decisions about the trusted asset that fall within the conditions agreed by the former. Recent controversy involving Facebook data and Cambridge Analytica provides another reason for why companies collecting data from users need to act as a fiduciary. Within this framework, individuals would have a say over how and where their data can be used. Balkin and Zittrain suggest that there is an asymmetrical power between companies that collect user generated data and the users themselves, in that these companies are becoming indispensable and having more control over individuals data. However, these companies are currently not legally obligated to be trustworthy, meaning that there is no legal consequence for when they use this data in a way that breach privacy or in the least interest of the customers. Under a data fiduciary framework, individuals who are trusted with data are attached with legal rights and responsibilities regarding the use of the data. In a case where a breach of trust happens, the trustee will have to face legal consequences. Balkin, J. M. (2016). Information Fiduciaries and the First Amendment. UC Davis Law Review, 49(4), 1183–1234. Balkin, J. M., & Zittrain, J. (2016, October 3). A Grand Bargain to Make Tech Companies Trustworthy. Schwartz, A., & Cohn, C. (2018, October 25). “Information Fiduciaries” Must Protect Your Data Privacy. There has been mounting pressure on policymakers to adopt and expand the concept of evidence-based policy making (EBP). 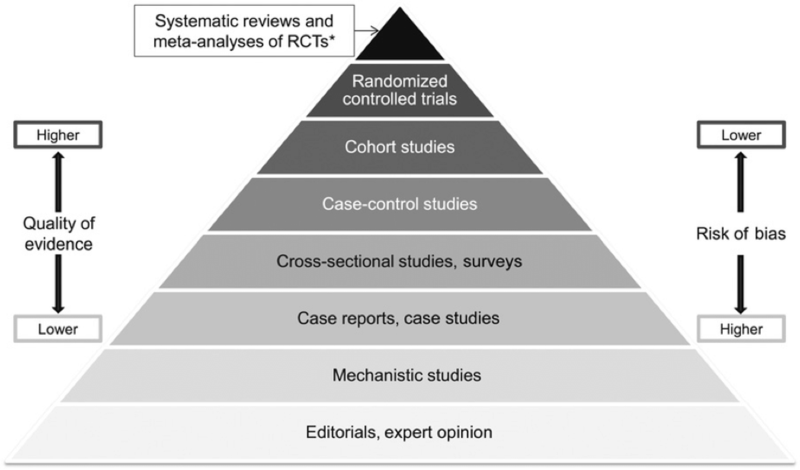 Yet, while the importance and value of EBP is well established, the question of how to establish evidence is often answered by referring to randomized controlled trials (RCTs), cohort studies, or case reports. According to Caterina Marchionni and Samuli Reijula these answers overlook the important concept of mechanistic evidence. When the US government announced in 2012 that it would invest $200 million in research grants and infrastructure building for big data in 2012, Farnam Jahanian, chief of the National Science Foundation’s Computer and Information Science and Engineering Directorate, stated that “Big data” has the power to change scientific research from a hypothesis-driven field to one that’s data-driven”. Using big data to provide more evidence based ways ways of understanding human behavior is the mission of Alex (Sandy)Pentland, director of MIT’s Human Dynamics Laboratory. Pentland’s latest book illustrates the potential of what he describes as “Social Physics”. The term was initially developed by Adolphe Jacques Quetelet, the Belgian socioligist and mathematician who introduced statistical methods to the social sciences. Quetelet expanded his views to develop a social physics in his book “Sur l’homme sur le developpement de ses facultes, ou Essai de physique sociale”. Auguste Comte, who coined “sociology” adopted the term (in his Positive Philosophy Volume Social Physics) when he defined sociology as a study that was just as important as biology and chemistry. “We are moving away from the dominance of the depersonalized world of institutional production and creating a new economy around social connections and social rewards—a process I call socialstructing. … Not only is this new social economy bringing with it an unprecedented level of familiarity and connectedness to both our global and our local economic exchanges, but it is also changing every domain of our lives, from finance to education and health. It is rapidly ushering in a vast array of new opportunities for us to pursue our passions, create new types of businesses and charitable organizations, redefine the nature of work, and address a wide range of problems that the prevailing formal economy has neglected, if not caused. Microparticipation of regular citizens in government decisions and the delivery of public services (pointing to the San Ramon Valley’s CPR app and other tools for networked collaboration developed by, for instance, Citizen Logistics). The chapter provides for an interesting introduction of the kind of new governance arrangements made feasible by increased computing power and the use of collaborative platforms. As with most literature on the subject, little attention however is paid to evidence on whether these new platforms contribute to a more legitimate and effective outcomes – a necessary next step to move away from “faith-based” discussions to more evidence based interventions. “Slacktivism has become somewhat of a buzzword when it comes to demeaning the electronic versions of political participation. The origins of the term slacktivism is debated, but Fred Clark takes credit for using the term in 1995 in a seminar series held together with Dwight Ozard. However, they used it to shorten slacker activism, which refer to bottom up activities by young people to affect society on a small personal scale used. In their usage, the term had a positive connotation. Since the 1990s, Yochai Benkler, who is the Berkman Professor of Entrepreneurial Legal Studies at Harvard Law School, has been instrumental in documenting (and advocating for) the economic and societal value of an information commons and decentralized ways of collaboration, especially as it applies to innovation. Both his books “The Penguin and the Leviathan: How Cooperation Triumphs over Self-Interest” (Crown 2011); and “The Wealth of Networks: How Social Production Transforms Markets and Freedom” (Yale University Press, 2006) are required reading to anyone interested in social networks, open innovation and participatory democracy. “First, they offer their participants a chunk of life lived in effective, voluntary cooperation with others. Second, they can provide for everyone a degree of freedom in a system otherwise occupied by state- and property-based capabilities; they do not normally displace these other systems, but they do offer a dimension along which, at least for that capability and its dependencies, we are not fully subject to power transmitted through either direct state control or the property system. Third, they provide a context for the development of virtue; or the development of a cooperative human practice, for ourselves and with each other. “First, there is the internal question of whether these models can sustain their nonhierarchical, noncoercive model once they grow and mature, or whether power relations generally, and in particular whether systematically institutionalized power: hierarchy, property, or both, reemerges in these associations.